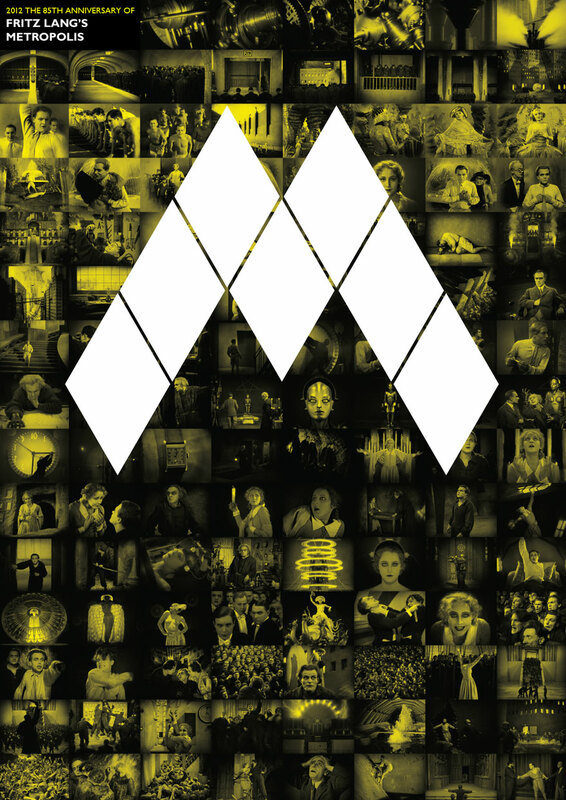 Poster for Metropolis, an 1927 movie directed by Fritz Lang celebrating its 85th anniversary in 2012. The design tells the whole film from start to finish with screen shots taken from the footage. The ‘M’ over the top of the images is made up of diamond shapes which signifies the town’s strong class divide and the metaphorical building blocks of the city.